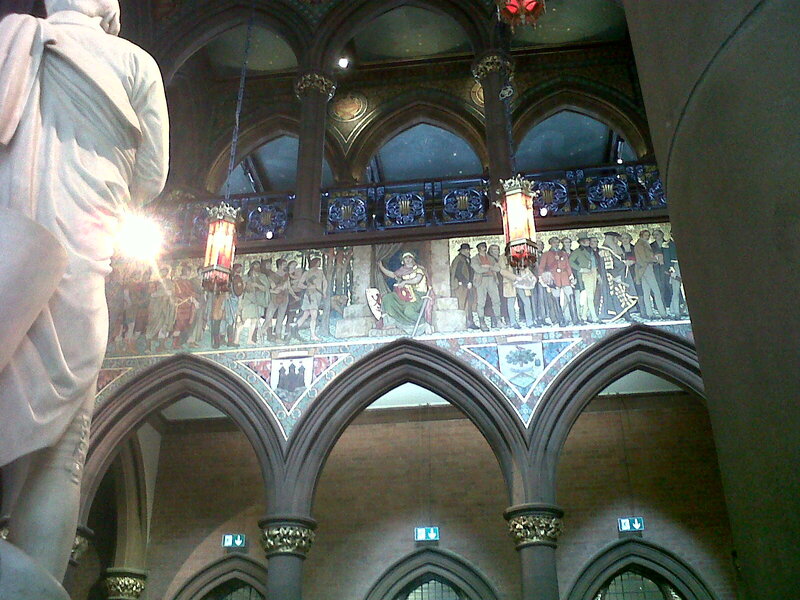 Scotland’s National Portrait Gallery, reimagined | Que Sera Sara? I once briefly mentioned the deliciously anticipated reopening of the National Portrait Gallery, part of the National Galleries of Scotland. It’s been open six months and every time I’ve been in, the physical changes reinforce a new, surprising space in which a National institution supports a public engagement with art. The traditional tenements of galleries and libraries and grand staircases remain of course, like any other National gallery I’ve visited in various parts of Europe it eptimises grandeur. The grand entrance is a multi-storied vaulted gallery. 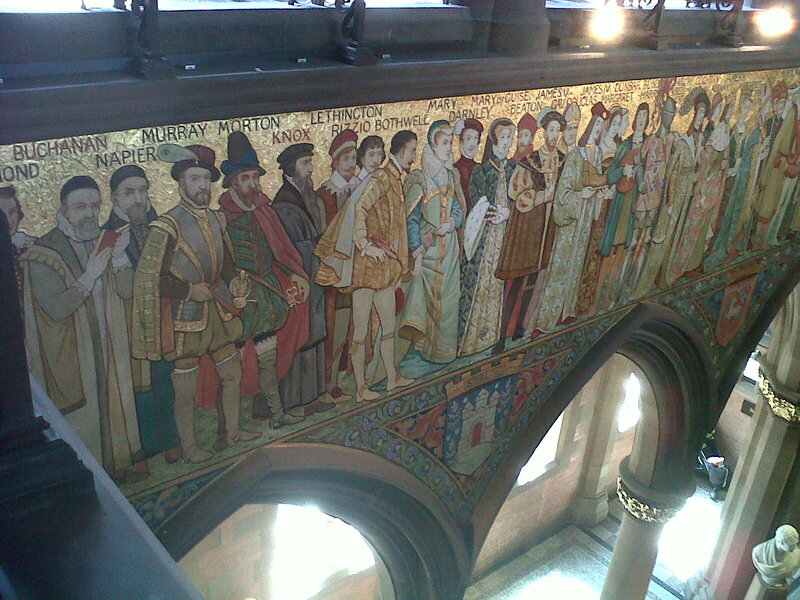 The ground floor is home to busts of Scotland’s leading men, the upper depicts murals of climactic moments from the nation’s tumultuous history. In between, there is a wrap around frieze showing the history of the nation and highlighting her key players in a parade of social history. The first figures are Stone Age men and Vikings, followed by kings, artists, traitors and philosophers up until the end of the 19th Century (when the work was painted). It has always been the fustiest of the nation’s Galleries and keenly traded on Victorian splendors. BUT, the redevelopment has sought, admirably I may add, to recontextualize this space. To bring in modern design without eschewing orignal details.There are touch screen galleries and audio guides, education suites and a range of accessible details unheard of in Victorian ideals of edification. One of the most refreshing is the regular commitment to bring the collection out of glass cases and into plain sight. The rotating exhibitions are constantly questioning how best to bring alive a building which mostly contains portraits of dead people. And they do so with gusto. There are facsimiles on the ceilings and quotes on the walls, artworks come bursting out of frames and transcend beyond borders. 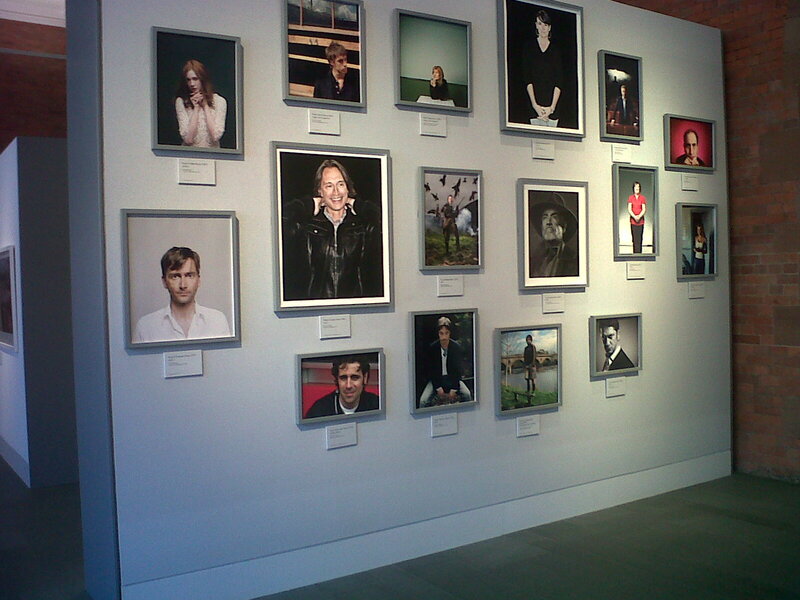 On entering one of the first pieces you’ll see is a wall of Hot Scots. The expected array of Hollywood A-listers and sports stars are joined by chefs, musicians and artists in a statement piece. 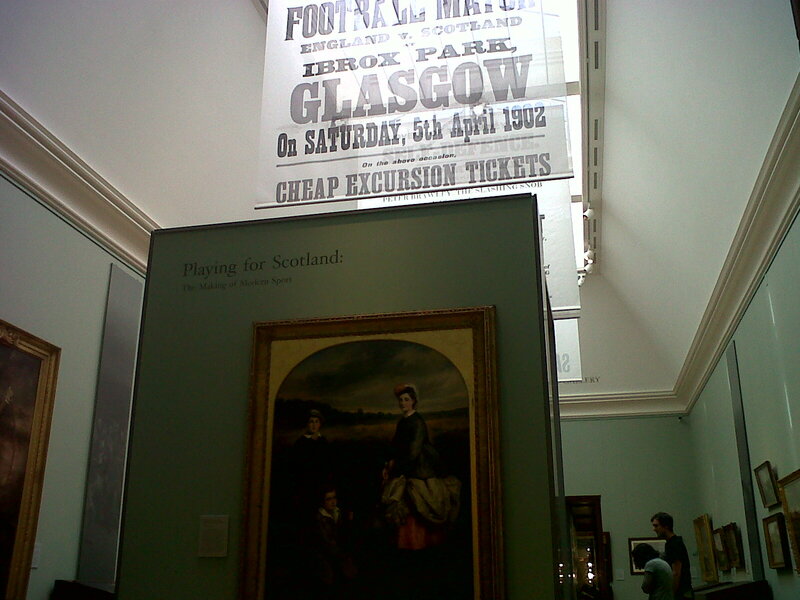 It’s one of many displays dedicated to celebrating contemporary and recent Scotland, in all its multitudes. The library and archives are still home to wrought-iron balconies and marble busts, but here, modern and classical sit side by side. And that case on the left? 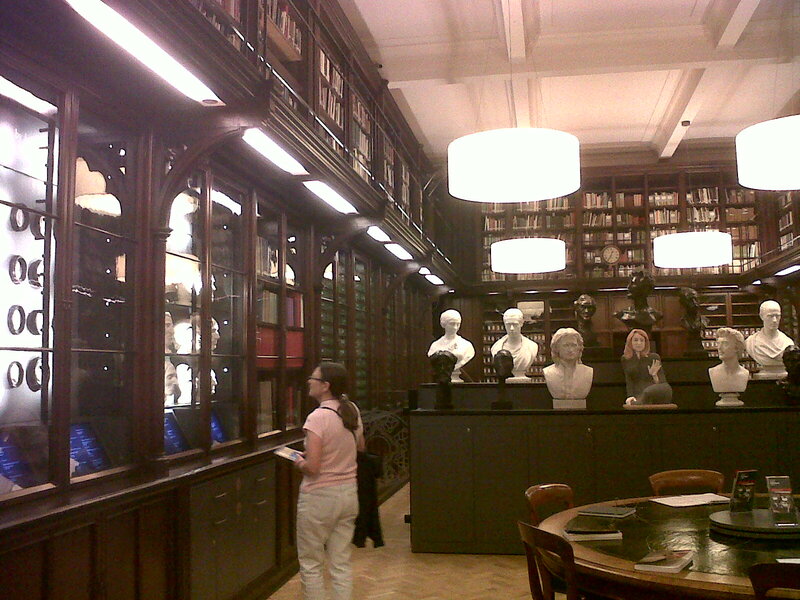 Full of death masks of both the famous and infamous, originally for studies both anthropological and phrenological. They now bring a gruesome, visceral edge to this traditional space. It may still be a formal gallery, filled with conspicuous guards and hushed tones, but the variety of exhibitions and attempts to engage new audiences are a commendable first step. I can’t wait to see what they do next. 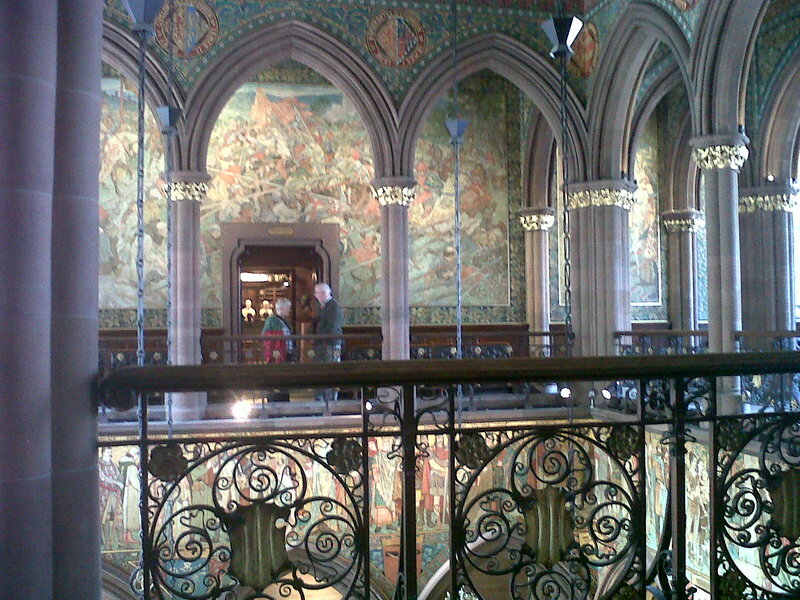 I had a painting displayed in here when I was sixteen. Our High School was chosen for an Exhibition of Modern Art. I wish I still had the picture.